UAA freshman middle blocker Eve Stephens is on such a tear that her statistics are swelling even when she doesn't play. 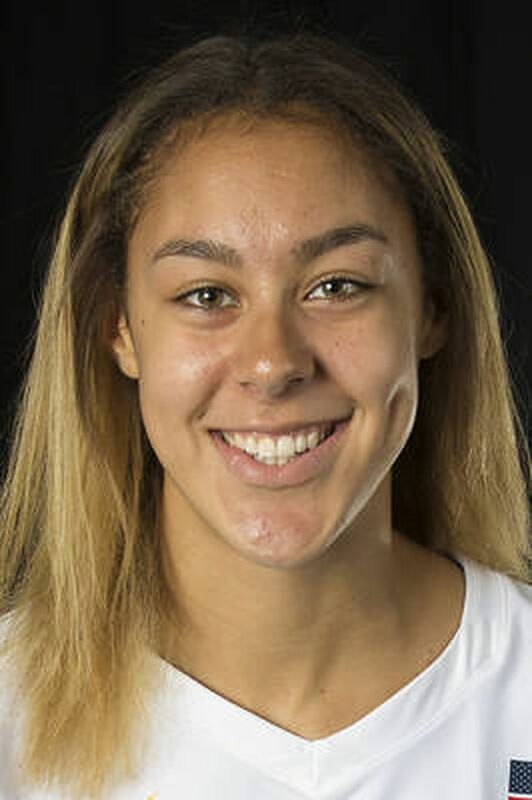 Stephens, a Colony High graduate from Palmer, this week became the third player in UAA history to be named the Division II national player of the week by the American Volleyball Coaches Association. The honor came after a week during which she racked up 55 kills in three matches — three more kills than originally reported. Stephens added to her kill total after a closer look at video from a Thursday match at Rocky Mountain College and after statistics initially skewed by computer glitches were corrected for a Friday match at Montana State-Billings. The 6-foot-1 Stephens started her week with back-to-back, 20-plus kill performances. In a four-set victory over UAF on Sept. 11 in Anchorage, she slammed 21 kills with no errors to compile a .656 attack percentage — the sixth-best attack percentage in Great Northwest Athletic Conference history for hitters with more than 18 kills in a match. Two nights later in Billings, Montana, Stephens racked up 23 kills on .345 hitting in a five-set win over NAIA power Rocky Mountain College, a kill total originally reported as 21. Seven of her kills came in the fifth set, when UAA outscored Rocky 15-10 for the win. Stephens wrapped up the week the next night at Montana State-Billings, where she supplied 11 kills on .304 hitting in a three-set win over the Yellowjackets. That kill total was originally reported as 10. Only two other Seawolves have merited Division II player of the week honors — Rhea Cardwell (Nov. 18, 2008) and Chrisalyn Johnson (Oct. 31, 2017). Johnson is a senior on this year's team. Stephens, Johnson and the rest of the Seawolves are back on the road this week for matches against Simon Fraser on Thursday and nationally ranked Western Washington on Saturday. UAA is 10-2 overall and 3-1 in GNAC play.